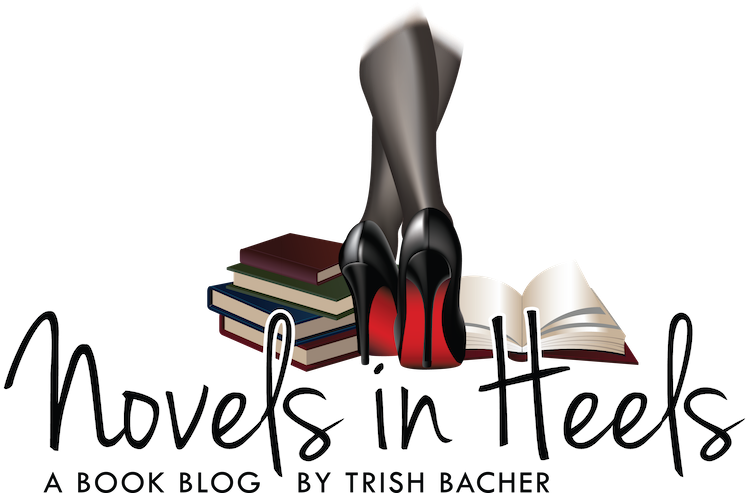 I’d like to welcome Pavithra Ramesh to Novels In Heels. 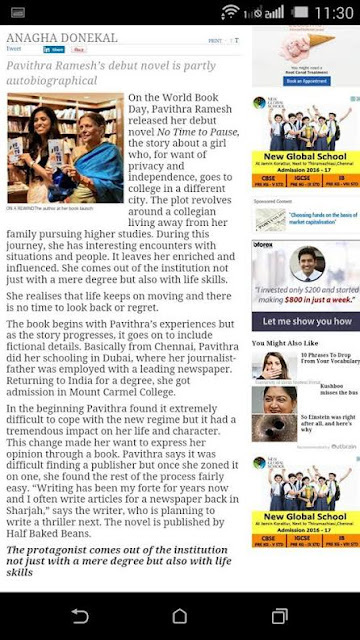 Pavithra is a new author to me and I am looking forward to delving into her stories. 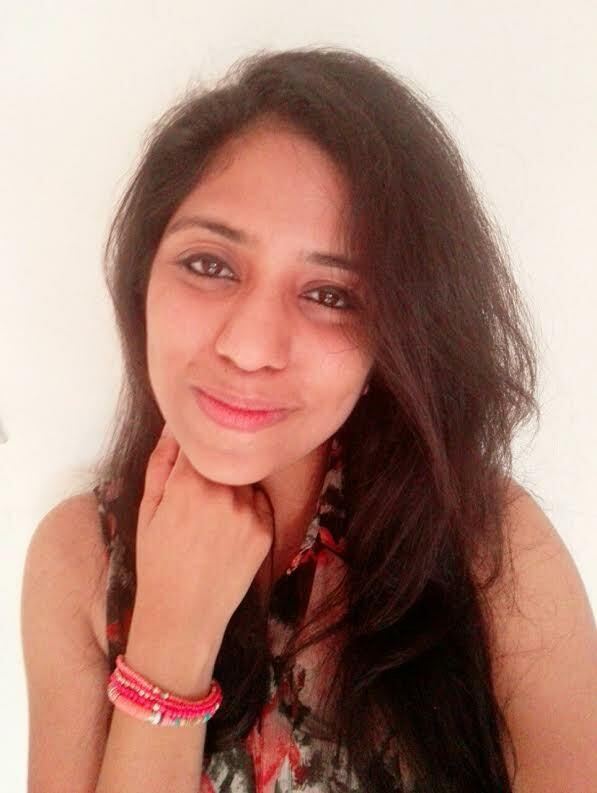 Pavithra Ramesh is a graduate from Mount Carmel College, Bengaluru, looking ahead to pursue her MBA in International Business and Finance. She has been an excellent academic performer emerging as the second topper in school (Commerce Stream) in her CBSE Board exam. Commitment and perseverance is her basic mantra. 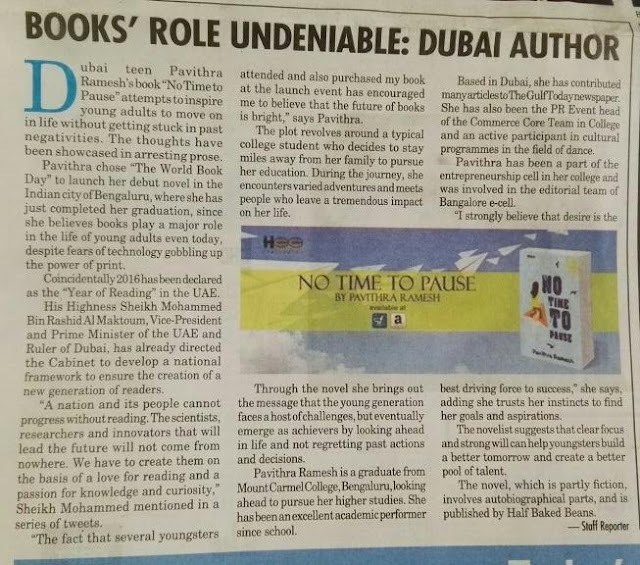 While based in Dubai, she has written many articles for a Sharjah daily newspaper. She has been the PR Event head of the Commerce Core Team in College and an active participant in cultural programmes in the field of dance. She has also participated in National Level Business Fests. She was a member of the entrepreneurship cell in college and was involved in the editorial team of Bengaluru e-cell. Writing is her passion. She now ventures with her first book ‘No Time to Pause’. She believes that desire is the best driving force to success and trusts her instincts to find her goals and aspirations. Young girl takes a step to inspire young adults to move on in life and never take a pause. It is something when a young girl decides to stay miles away from her family to pursue her dreams and education. 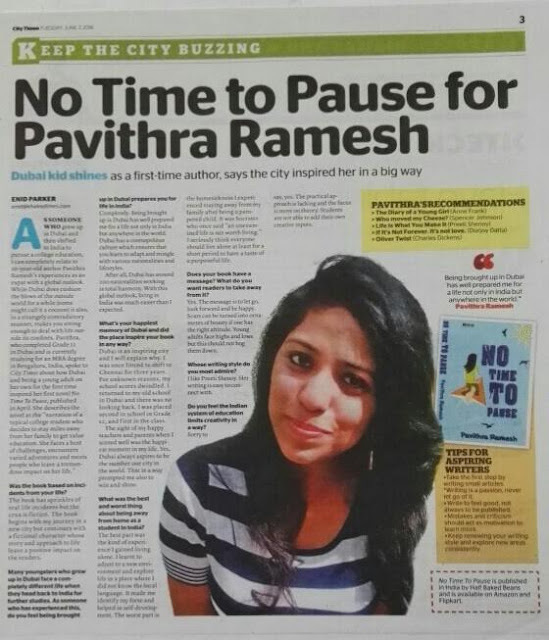 The debut novel 'No time to Pause' by Pavithra Ramesh is an inspiration to all the young adults out there to follow their heart, never to stop or regret the crucial decisions of life and always keep moving on with complete inspiration and confidence. It’s a pleasure to have Pavithra here today in an interview author spotlight. As you know, I love interviewing authors and getting an insight into their lives, what makes them tick and write awesome stories with a little more of an in-depth interview. So let’s star and see where it takes us. 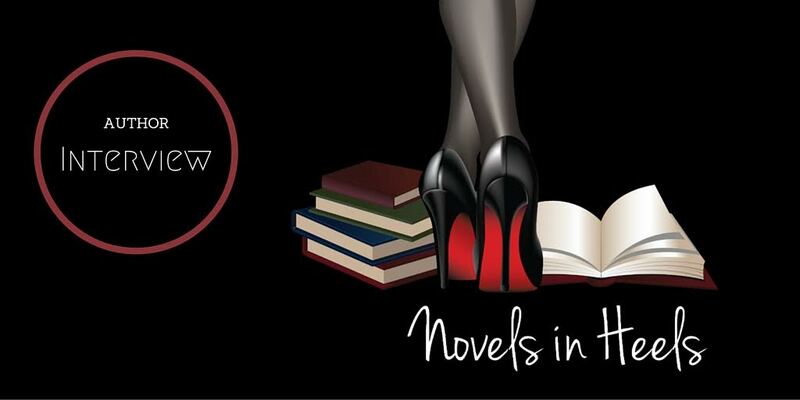 PR - Firstly, I thank Novels in Heels for the interview. I am Pavithra Ramesh. No I do not write under a pen name. NIH - How easy or difficult is writing for you? PR - Writing comes with the right mindset, mood and interest. I would not say easy or difficult. It just goes with the flow. NIH - What does writing bring to you? PR - Writing gives me simple pleasure. It is completely about the joy of doing something you love. NIH - What inspires or motivates you to write? PR - My experiences. I am an avid observer. Lots of incidents that take place around me, tinged with my imagination motivate me to write.  NIH - Do you have a mentor that you turn to for help? PR - Of course. My parents. My dad is a journalist and playing with words gets easy with his help. My mom is a teacher and helps me rectify my errors quickly. NIH - How do you connect with your characters? PR - I take time to live my characters. As I pen down characters, I think of them all day. I try to analyse the character to get a better feel.  NIH - What is the best way for your readers to connect with you? PR - My book is for sure the right start. You can connect through my page 'No time to Pause' on Facebook or mail me on rpavithra1@gmail.com. NIH - What is your favorite thing to do other than writing?  PR - I love keeping a check on fashion blogs and DIYs. NIH - What research do you do to write the stories you write? PR - For my first book, it did not involve much of research since it is fiction and partly autobiographical. I had a picture of the story in my mind. NIH - What types of books do you like to read? PR - I like to read fiction novels. NIH - Which author do you admire and why? PR - Right from my childhood I have admired Enid Blyton for provoking my interest in reading as a young kid with the amazing stories. I like Preeti Shenoy for the kind of simplicity her books carry.  NIH - What other stories can we look forward to seeing from you? Can you give us any synopsis? PR - I am currently working on my second novel. The genre has not yet been finalised due to which I cannot reveal much. NIH - What do you do when you are looking to have a bit of fun? PR - Friends and family. My biggest source of fun. Moreover, I could go out randomly, trying to explore places grabbing some food. PR - Coffee can set right my mood at any point of time. I am a hard-core foodie. I love eating. Trying new food is like the best pastime for me. I am a dancer as well, which not many know about. NIH - What is your favorite color? PR - I love red and black. Dark yet elegant. NIH - How much of your books are real, how much a fiction? PR - My book 'No time to pause' is a mix of both. But the crux is fiction. NIH - Are the experiences in the story based on someone you know or events in your own life? PR - The main element is fiction. But a lot of the story is based on the people in my life. NIH - What are you ambitions for a writing career? PR - Writing is a passion and would always be there. Whatever I do in life, I wish to write as well. NIH - How long on average does it take you to write a book? PR - My first book took about a year and a half to be written. It had its breaks and pauses due to various reasons. NIH - Do you ever get writer’s block? How do you get through writers block? PR - Yes. Many times I find it difficult to bring out the character in the best possible way since I lose track of words. When I feel I'm getting stuck, I just take a break, calm down and think over things again. Maybe a sip of coffee. These small things help. PR - It may be possible. Love is something which each person perceives with a different view. I believe love is when you accept the person with all the plus and minus and yet there is a bond which is true and charming. So I'm not really sure about insta love. NIH - What is your favorite movie and why? PR - The Insider. I love the movie for the blend of ethics it portrays. NIH - Do you live by any particular mantra? PR - Yes. Be positive, keep smiling. Complete dedication and perseverance is the motto.  NIH - Is there a message in your novel that you want readers to grasp? PR - Completely. The message is that, relax, life keeps moving on. Stop fretting over the past and keep enjoying what life has to offer. PR - I would love to meet Indra Nooyi. I find her very inspiring and truly believe she is one influential woman. NIH - Where do you see yourself in 5 years’ time? PR - I see myself standing independent as a matured young woman. I see myself working towards greater heights and attaining higher success. NIH - What do you think makes a good story? PR - I think if the audience are able to connect to the story and relate to it, it makes it a good one. Moreover the book should thrill the reader with each chapter. A huge thank you to Pavithra Ramesh for hanging out with me today. It was a real pleasure getting to know you a little more. Hopefully you all enjoyed this interview and will check out Pavithra's book.